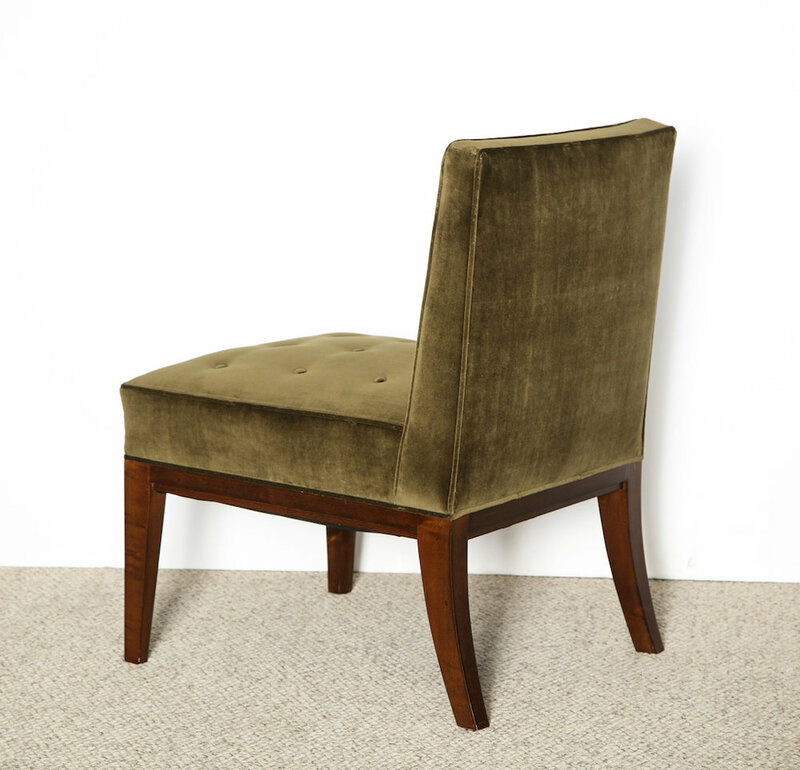 Dark stained wood frame & dark green velvet upholstery. Excellent condition, recently fully restored. From a private commission in Bel-Air, CA. h. 31.25" w. 21" d. 24" sh. 17.5"